Briggs and Stratton have produced Fuel fit to enable longer life of petrol engines. As modern fuel attracts moisture which can corrode an engine, fuel fit will prevent this by coating the fuel to protect engine parts. Simply by adding 100ml to 10Litres of unleaded fuel will stabilise your fuel for up to 3 years. 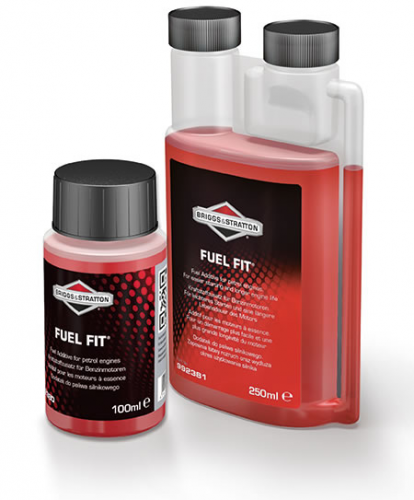 Fuel fit can be purchased in a 30ml bottle or 250ml bottle.